But the most exciting thing was that our first baby registry gift arrived! Our stroller! It was a gift from my aunt and uncle, who were like second parents to me growing up. My aunt and I have a close relationship and since she has a son she has always treated me like her daughter. We chose the Baby Jogger City Select. In red of course! Wrigley is still a little scared of it, so we’ll have to practice walking with it before the baby comes. We walk at least once every day ,and often twice, so we needed a good stroller that would hold up to our activity level. Guess who was not scared of the stroller? Sophie hopped in while I was putting it together. 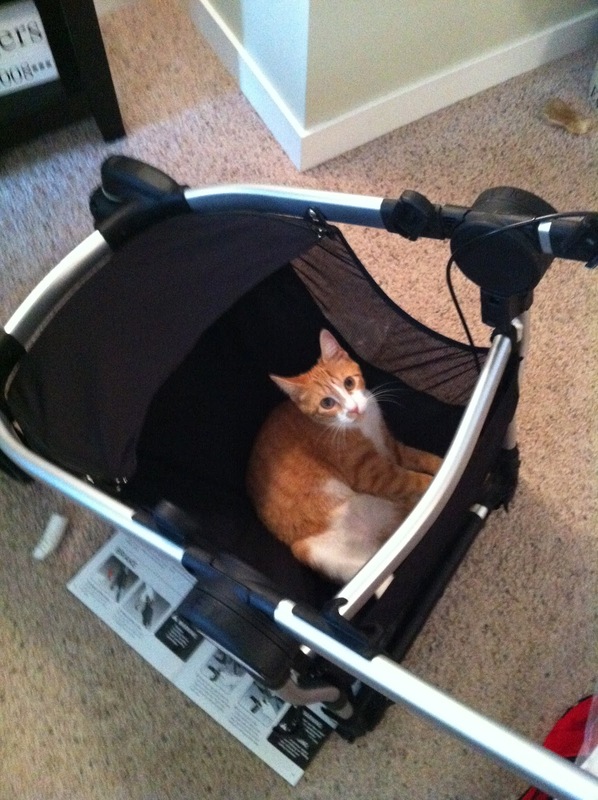 She LOVES the stroller. In other news…..True Blood is back! Who’s excited???? The first episode is waiting for me in my DVR…I can’t wait! This is random, but my mom and I stopped at a couple of antique stores on Friday and I saw this and fell in love. I have no where to put it but I like it. I might have to make something similar soon! OMG! That stroller is so cute!!! Love the cute red stroller!! How perfect! That little in-out-mail boxes are CUUTE! Adorable stroller! The mail center is equally adorable and functional as the stroller. Cute stroller – and that find at the antique store is GREAT! Love it! Happy Monday! 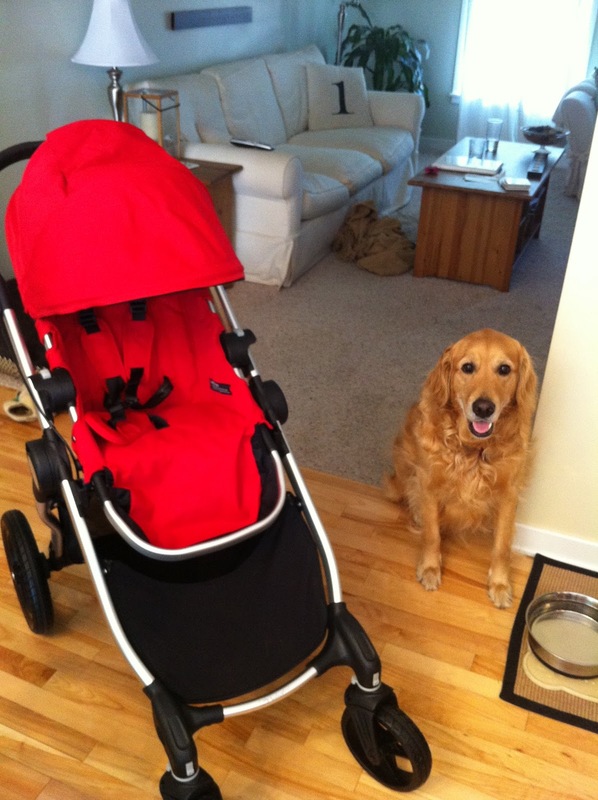 Love the stroller and the fact that it is red (my favorite color too!) What a wonderful gift! I think Sophie is protesting for a stroller with a side car! Lovely stroller! I love the red. & I love the find from the antique store. It's super cute! Love the stroller and of course love true blood!! Yea!!! So fun when registry items start coming in! We ordered the city mini, i've heard such great things about the baby jogger brand! Happy Monday. OMG!!!!!!!!!! So exciting!!! We have to get to registering! I love that mail organizer, I definitely need something similar! If you come up with something, let me know. That is a great find from the antique store- so cute! Love the stroller! More that the color is red! The picture that showed up with this post in my blog reader was the True Blood image. I thought that was the first gift you got off your registry for a second. LOL! very nice pictures !! very nice pictures, hope you had a very nice week end! 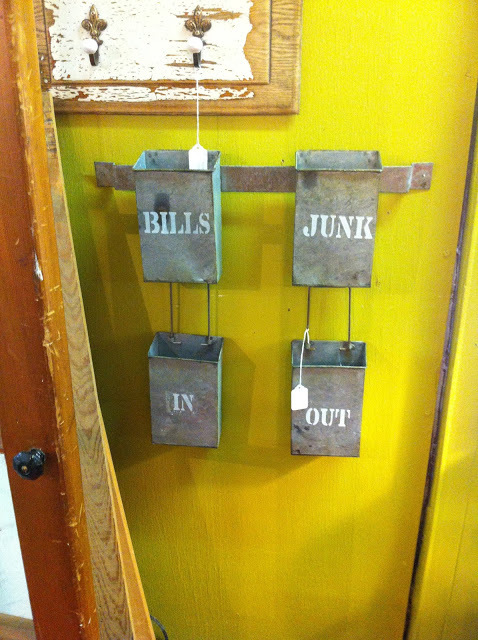 i love what your mom picked up at the antique store, you can totally use it for your mail. Wrigley's face next to the stroller is priceless!